With stunningly clear water this is a perfect place to enjoy the beautiful sea. 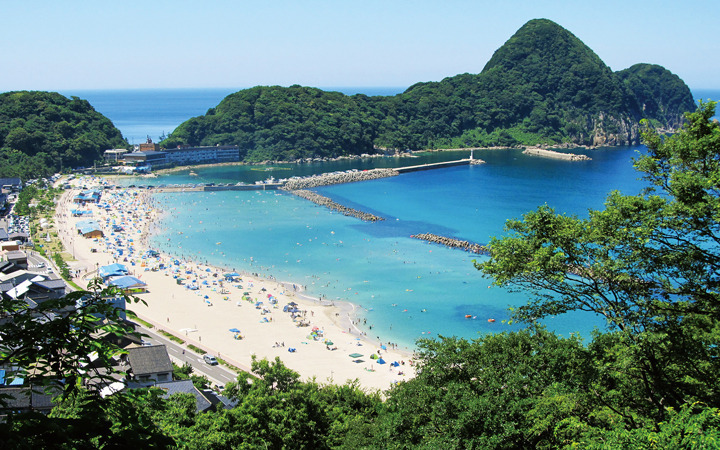 This beach has been selected as one of Japan's 100 Best Beaches. The clear waters attract over 300,000 people every year. 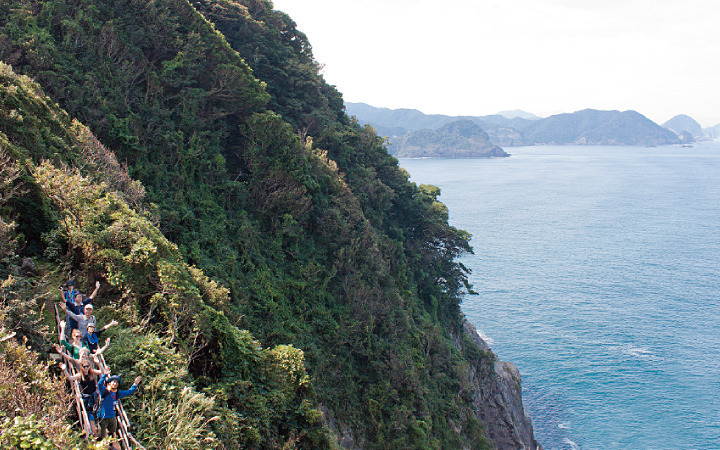 Atop the nearby Nekozaki Peninsula, which looks like a "KEWPIE" doll lying on its back, is a lighthouse. From there you can enjoy a 270 degree view of the sea. The path leading to the lighthouse is a good spot to go hiking. After enjoying a panoramic view of the Sea of Japan, relax and take a bath at Kitamae-Kan's Takeno Onsen (Tanjo no Yu). 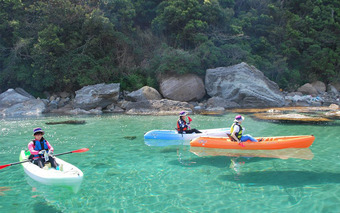 You can also enjoy Geopark sea kayaking called "Takeno Geo Canoe" here. Come and explore the emerald green waters and magnificent coastline in one of our sea kayaks.